A divine cluster of elegant sparkle, this pretty pendant captures understated 40s style. Divinely chic and full of sophisticated charm, our Starlet’s Trio Pendant will bestow sparkling elegance to every neckline. With a glittering cluster of a square, pear and oval cut cubic zirconia enhanced with petite clear crystals, this beautiful pendant will look effortlessly classic for every occasion. A glamorous evening event, your wedding day or subtle sparkle for every day, this beautiful piece will be adored by women who want to dress up an elegant outfit. 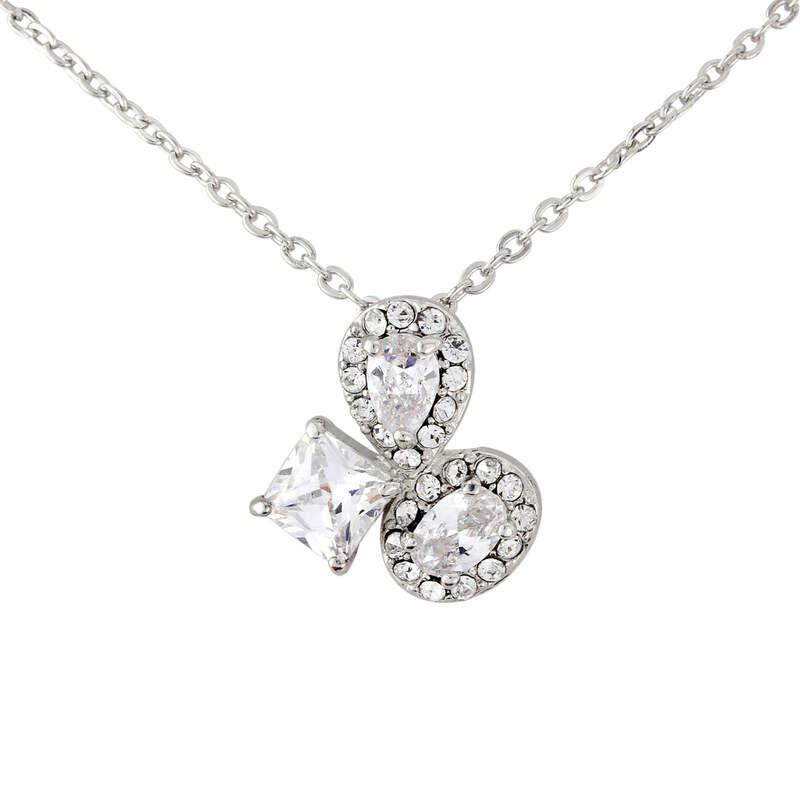 Inspired by vintage jewellery from the iconic 1940s, Starlet’s Trio Pendant is a perfect bridal necklace. Whatever the neckline of your vintage gown, these glittering gems will enhance your bridal style with class and, for added glamour, team with Starlet’s Trio Earrings. Also a perfect keepsake gift for your beautiful bridesmaids.